Number of the day: What percentage of the world's population will live in Africa by 2050? Tens of millions of people have had their private information stolen in data breaches during the past few years. But little is known or said about what happens to that data once it has been lifted. 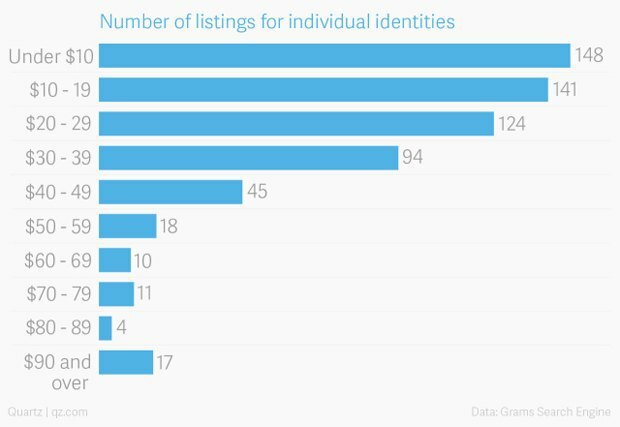 Quartz dug around dark web marketplaces AlphaBay and Evolution to find out how much a stolen identity sells for on the black market. 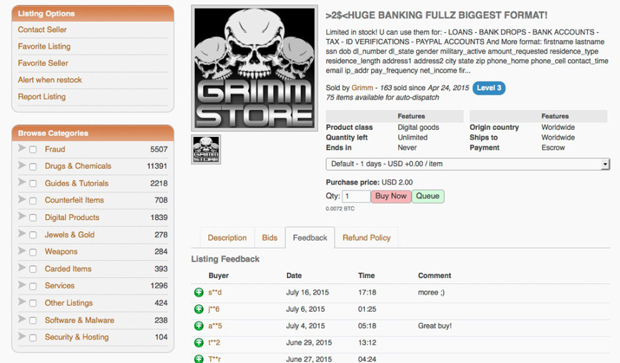 Individual identities, called 'fullz' on the black market, vary in price from $1 to about $450 (converted from bitcoin) and are valued based on factors like quality, robustness, reliability, and the seller's reputation - not unlike Ebay. While vendors like "OsamaBinFraudin" were able to sell premium fullz (that included credit card information and a high credit score) at $454.05 a pop, other listings offered identities with "dead," non-working credit cards for $2. People between ages 18-24 have the highest rates of identity theft. Identity theft is the fastest growing crime, according to the Federal Trade Commission. About 10 million people become victims each year, meaning that every minute, 19 people become new victims of identity fraud.